Human Food For Dogs: Is Broccoli Safe To Give My Dog? 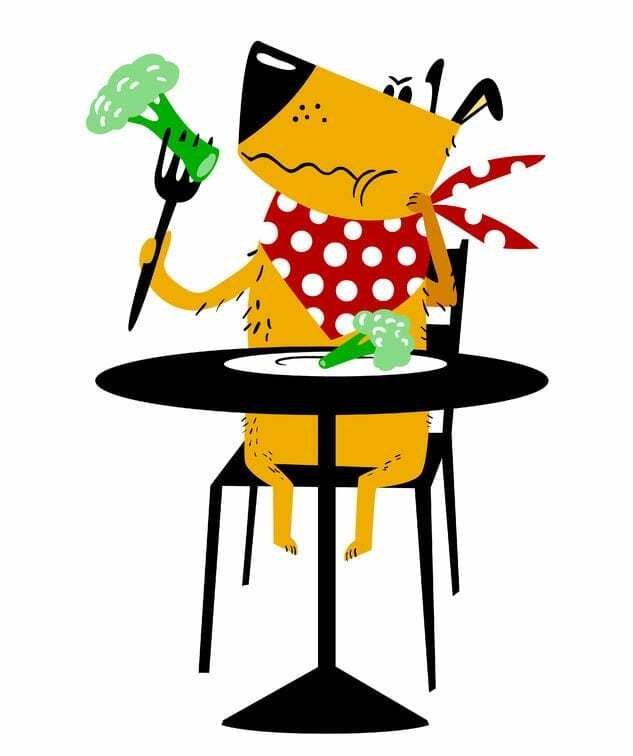 Human Food For Dogs: Can Dogs Eat Broccoli? It can be tempting to slip your dog a little treat under the table from time to time. Or perhaps more food ends up on the floor than the plate when your partner cooks up a storm. But it’s important to know what kinds of foods might pose a danger if you own a pet. Aside from choking hazards, some “healthy” fruits and veggies can actually be toxic to your dog. Now, broccoli is a common dinner-time favorite. It’s jam-packed with nutrients, very high in vitamin C, and contains substantial levels of potassium, B6, folate, manganese, and vitamin A. 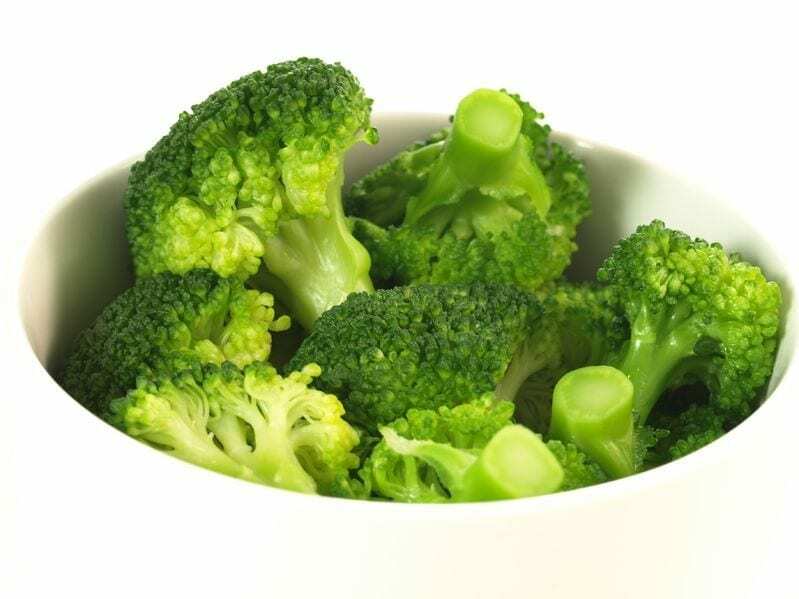 But, that’s not all… broccoli’s low in calories and high in fiber, which means it’s a veggie that helps with digestion. 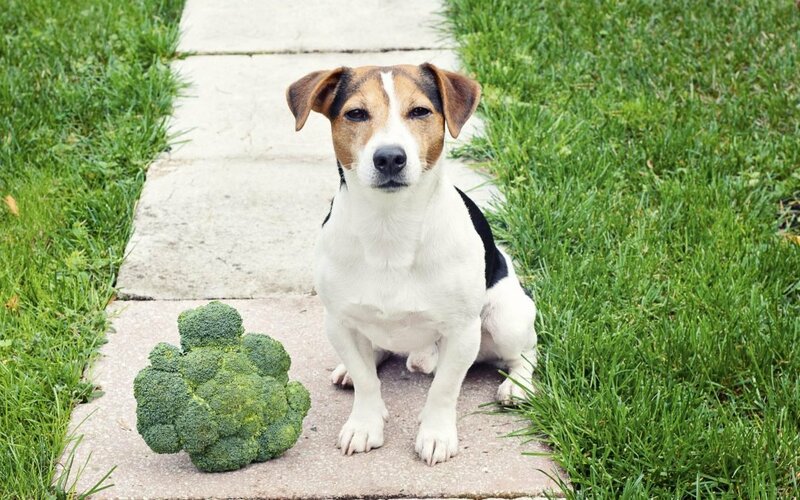 So, of course, pet owners want to know: Can my dog eat broccoli? Well, the good news is that broccoli is not toxic to dogs. But there are definitely some considerations you should think about before you start feeding your little canine buddy those tiny green trees. It’s true, broccoli is a nutritional — and tasty — powerhouse. It’s a wonderful source of vitamins and minerals for your dog — at face value. And, the good news is that broccoli is generally considered safe for dogs. But to be clear: dogs don’t need as many fruits and vegetables in their diet as humans do. So, there’s no need to believe that you must provide them with extra vegetables for better health. The vitamins and minerals they get from their usual meals are enough — provided you’re feeding them vet-approved food. 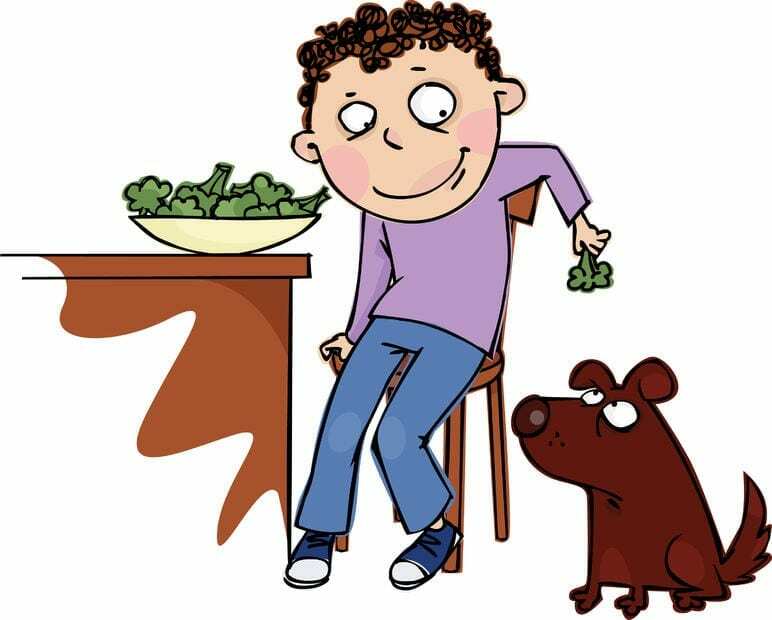 Now, when it comes to asking, “can dogs eat broccoli,” the most important factor is how much they actually eat. Your pups should only ingest broccoli as 10 percent of their daily food intake. That’s the ideal number and you’ll want to stick to that percentage as closely as possible. Why? Well, when broccoli makes up more than 25 percent of their daily intake, it can become quite dangerous. Furthermore, The American Kennel Club warns that this ideal 10 percent of a dog’s diet means very different things to different breeds of dogs. The AKC notes that a Chihuahua, for example, may reach that percentage with a few small florets!2 So you need to be aware of how much food your individual dog consumes each day. Broccoli contains isothiocyanates (as do all dark green veggies) which are thought to be helpful when it comes to keeping humans healthy, but for pups, it’s quite different. This isothiocyanate is most present in the head of the broccoli. The stem of the broccoli, however, is the part that might cause a choking hazard… so feeding your dog just the stem isn’t really the solution either. 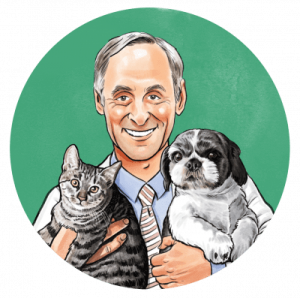 Dr. Marty points out that there is a toxic substance in the skin of raw broccoli (for dogs) so you should always make sure that the broccoli you feed Fido is steamed or slightly cooked. When dogs consume too much broccoli they can experience mild to severe gastrointestinal distress. Different dog breeds may react differently but breed-specific studies have not yet been performed. Broccoli – and other cruciferous vegetables like cabbage, kale, and cauliflower – may also cause gas and bloating if eaten in excess. And this is true for people too. Now, broccoli florets can cause an obstruction in your dog’s esophagus, especially if your dog is very small. Raw broccoli is particularly dangerous because it’s so hard. Broccoli should always be cut down in size – as you’d prepare it for small children – and cooked or steamed. Cooked broccoli is much softer and more likely to crumble than raw broccoli, so it’s a little safer. Some people like to use the large stalks of broccoli as a chew toy for their dog but bigger dogs can actually choke on these as they’re able to fit them in their mouth. The same rules apply to puppies as they do to full grown dogs when it comes to the 10 percent rule. The problem is that puppies are so small that 10 percent of their diet can be very easily misjudged. Puppies’ digestive systems are also underdeveloped and the high fiber in broccoli may cause them some digestive upset. There really is no need to feed your puppy broccoli and it’s not worth the risk. They can get all the nutrients they need from their regular food. What if My Dog Eats Too Much Broccoli? If you’re concerned that your pup has ingested a large amount of broccoli, you should contact your vet immediately. Or you can call the ASPCA Animal Poison Control Center in the U.S. on (888) 426-4435 for advice. The best thing to do when introducing any new food into your dog’s diet, is to simply observe how your pup reacts to it. The “10 percent of their daily intake” rule may be wrong for your dog — 10 percent may give your dog diarrhea while your neighbor’s dog may be just fine with the same amount. So, can dogs eat broccoli safely? Yes, absolutely! But be smart, use it only as an occasional treat, and understand that they don’t actually NEED broccoli. Human Food For Dogs: Can I Give My Dog Cranberries? Human Food For Dogs: Can Dogs Eat Pineapple?